First and foremost, if your book club is reading my book– that’s the coolest thing ever! Thank you! Below I’ve included a few discussion questions for my two novels and just for fun I’ve thrown in a beer pairing (like Books & Brews post I do once a month on my blog). I would also be more than happy to attend your meeting, in person or via the internet. Details for getting in touch with me are on my contact page. Happy reading! Why do you think Jen and Tanner got so stuck in all aspects of their lives? I often describe this novel as a second-coming-of-age story. Do you think that is accurate? Why or why not? I’ve taken some heat in reviews about there not being a reason Monica is so mean to Jen. This was actually intentional on my part. I think sometimes people aren’t nice and there isn’t always a discernible reason why. What are your thoughts on this? Did you see the plot twist coming? If so, at what point? There’s a moment in the book where Jen is sitting in her office, reflecting on her life’s work to date and realizing that she enjoys her job and the college but loves the travel writing she’s been doing. It’s an ah-ha moment, which are some of my favorites to write. What are some moments like this that you’ve had in your life? What do you think happens next for Jen in her career and her relationship with Andrew? 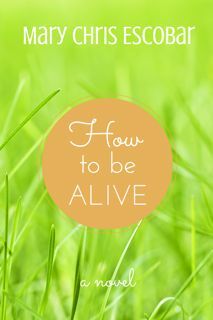 How to be Alive pairs well with a coffee stout. I’m going with a deeper, darker beer here because Jen is dealing with some heavy issues. The coffee part is thrown in, because she has some moments of clarity over coffee in Italy, both alone and with Andrew. These beers are often seasonal, so here are a few examples: Hardywood Sidamo Coffee Stout (my local favorite), Founders Brewing Company Breakfast Stout, and Sierra Nevada Coffee Stout. 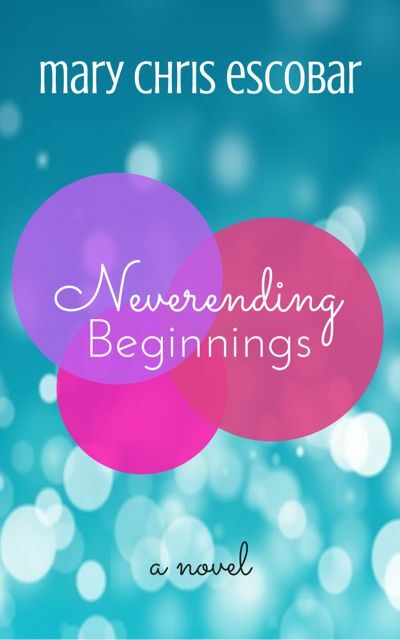 The original title of this book was The Theory of Neverending Beginnings (per Ben’s theory in the book). Do you think that there is any truth to his sentiment that when one is in the right relationship, it’s like all the best parts from when the couple started dating never end? What do you think would have happened if Kate had not gotten a do-over? Was the issue that Kate had to come to terms with related to Ben, her mother, or both? Did the necklace have anything to do with breaking the cycle? Was it believable that Kate and Jack could be friends? In real life, would you want a do-over? Neverending Beginnings pairs well with Left Hand Brewing’s Good Juju. While Kate getting stuck in a series of do-overs doesn’t seem like particularly good luck at face value, it turns out well in the end. (Plus there’s the issue of the necklace as a possible good luck charm).